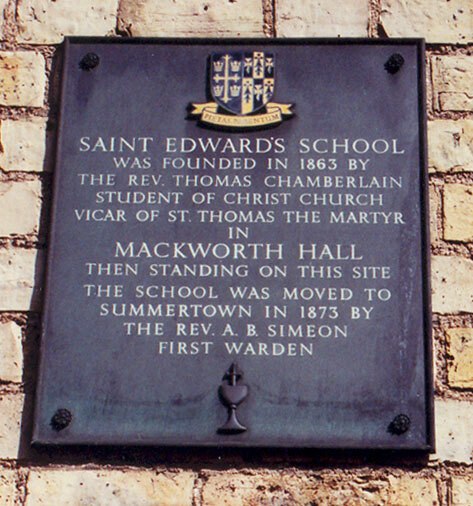 This plaque in New Inn Hall Street marks the site both of Mackworth Hall and of the first home of St Edward’s School. 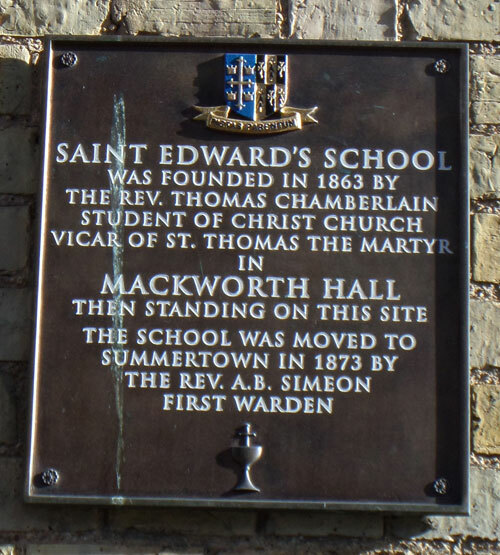 St Edward’s School was founded here in 1863 by the Tractarian Thomas Chamberlain, Vicar of St Thomas the Martyr. It moved to its present site on the Woodstock Road in 1873. The original plaque (right) was stolen in 2011. The new plaque was unveiled on 21 April 2013, when the school chaplain held a blessing in New Inn Hall Street.